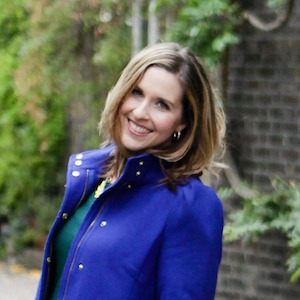 You are here: Home / Blog / Soups & Stews / Lasagna Soup Is Pretty Much the Coolest Soup! 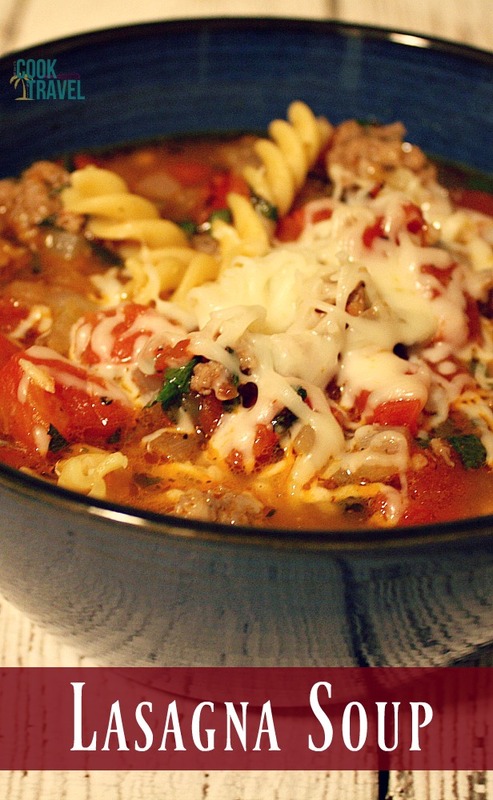 Lasagna Soup Is Pretty Much the Coolest Soup! Do you remember the Choose Your Own Adventure books? My sister and I loved those growing up. The idea that as you read this book, YOU got to be the one to determine how the story would go. She and I can definitely be control freaks (adorable ones, of course), so this type of book was right up our alley. 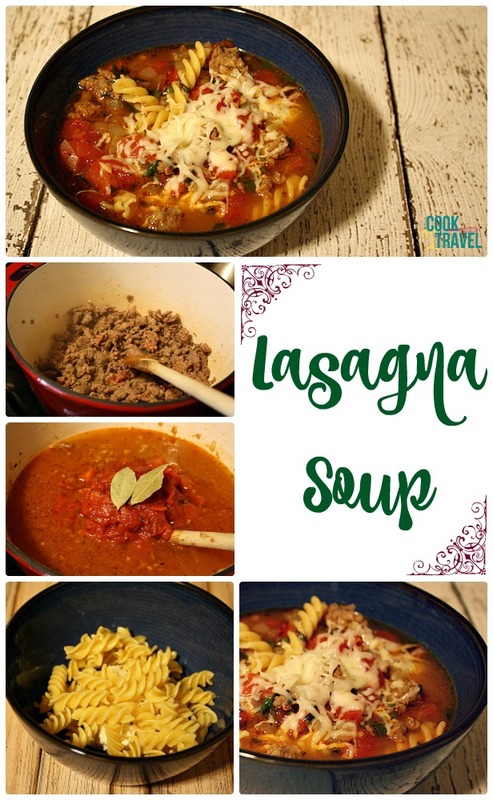 And the other night when I made this Lasagna Soup, oddly enough it reminded me of these books. So Lasagna Soup is basically like a Choose Your Own Adventure kind of soup. How fun is that?! I’ll get more into the how part in a minute. But just let that marinate for a bit. And truly that is something I adore about cooking. In a way, when you’re in the kitchen every day you get to control what you eat. You get to decide if you want to follow a recipe or riff on it a bit. For me, I tend to always follow a recipe the first time, and then I’ll start mixing it up a bit. Adding some more spice, cheese, or switching up the veggies or protein in it. Cooking speaks to me on so many levels. And maybe you’re like me where you’re a really creative spirit, but in the day to day you don’t get to express that side of yourself. Whipping up a meal or baking a dessert feeds my creative soul (literally). Or maybe cooking intimidates you a bit or isn’t something you’ve always loved. I hope that you’ll find this blog as both a guide to show you the technical side of HOW to cook something, and then to inspire you to create. Whether it’s just seeing the recipe from start to finish, or looking at a dish and figuring out how to make it to suit your taste. It’s all a fun culinary adventure. Now this soup is something that I actually pinned probably a year ago. And last weekend my friend Amanda messaged me out of the blue asking if I’d ever heard of lasagna soup. She just pinned it and thought it sounded delicious. I took her message to be a sign that it was finally time to make this soup. God bless her, I’m so glad I did! With this Lasagna Soup, you’re taking the flavors of lasagna and translating them into a bowl of soup. The base is a broth of chicken stock, fire roasted tomatoes, and flavors from garlic, oregano, and red pepper flakes. I also loved that Italian sausage was used in the dish. I really enjoy cooking with sausage, because it usually already has a nice spice to it. The lasagna soup can be pasta filled or cheese filled or both or neither. It’s up to you! Fun, right?! Let’s chat about leftovers for a moment. I was making a full recipe of this soup, because I wanted leftovers for the week. So I thought ahead on this a bit, and this is what I’d recommend you do if you won’t eat all the soup in one sitting. First, cook your pasta separately. Then drain it and toss it with a little olive oil so it doesn’t stick. Second, store the pasta on its own. If you add it to the soup and refrigerate, it has a tendency to soak up the broth in the fridge. Then it’s no longer a soup but is more casserole like. Not what we’re going for here. Third, store the cheese yum on its own as well. That way you can make up the leftovers by bowl and you aren’t left with cheese globs in the leftover soup. This part seems obvious, but sometimes you gotta state the obvious. Oh holy cheese yum, I really think you’ll love this! I know it sounds like it could be rich, because lasagna is a rich meal. But since the soup is broth-based, it lightens it a bit. And you’ll be choosing how you want to create your soup, so you can lessen the rich-ness by adding less cheese yum (or none – gasp!) and as much or little pasta as you’d like. The soup has a great spice to it, awesome textures, and that cheese bomb in the bottom is a total surprise. 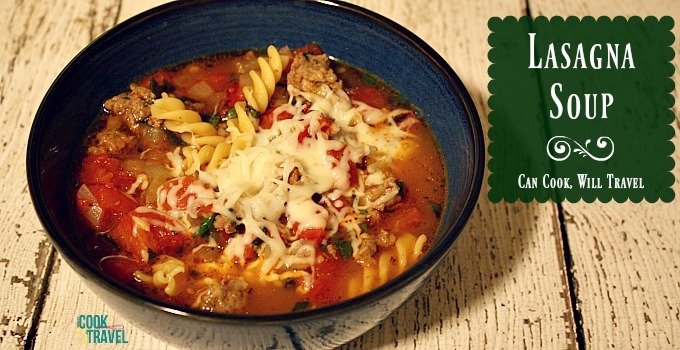 I cannot WAIT for you to make this Lasagna Soup recipe for you and your friends and family. You’ll be the hero at dinner for sure! Plus it comes together relatively quickly, and dinner should be on the table in under an hour. Love that! Click the link for the recipe and step by step instructions. Happy choosing your own adventure! Two years ago: Chewy Peanut Butter Monster Cookies Are Spooky Good! Four years ago: Thyme for Apple Cake!